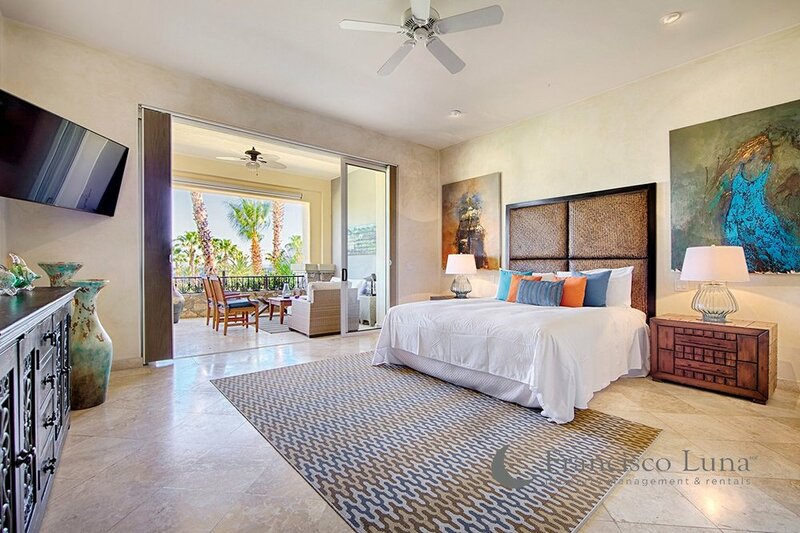 bed 3 · bath 3.5 · SLEEPS 8 · From $1.000 TO $2,000 usD per night + tax. 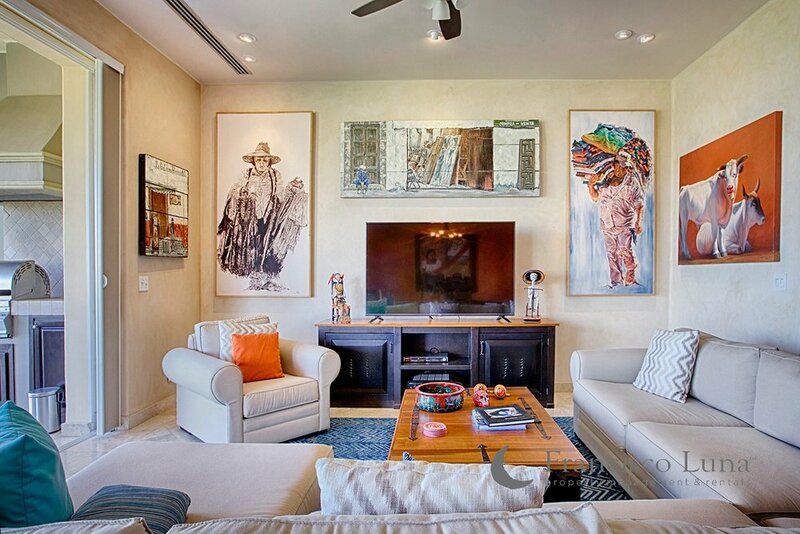 Casa ShipSea is the most charming and comfortable villa in Esperanza. 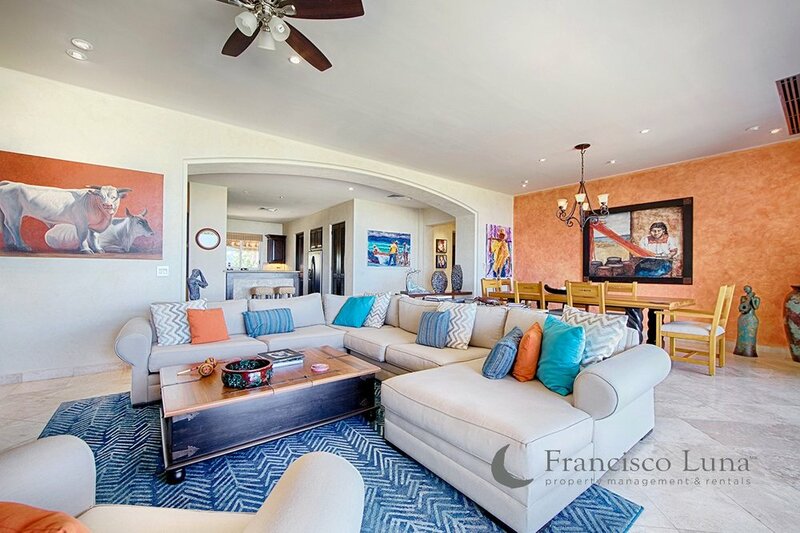 This professionally decorated and furnished 3 BR condo is located in the Las Estrellas section of the Punta Ballena development. 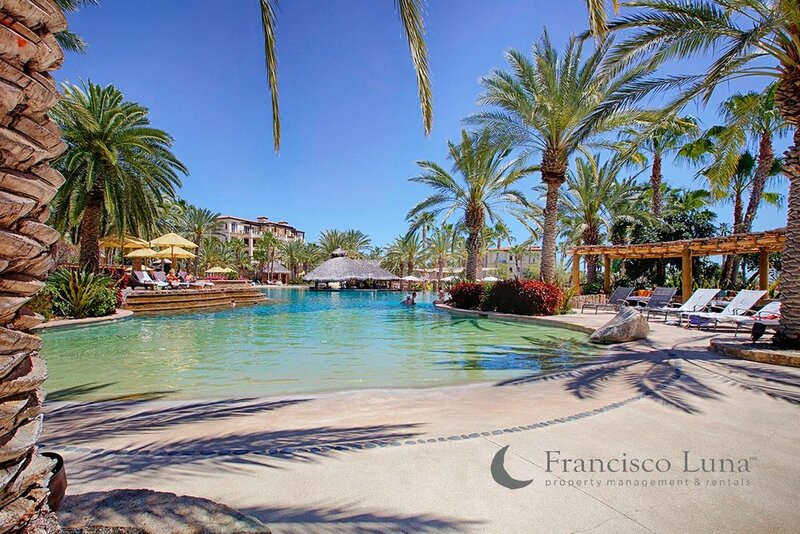 Punta Ballena is the home of the Esperanza Resort which is a 5 minute walk from Casa ShipSea and an even shorter golf cart ride if you call the valet service for a pick up. 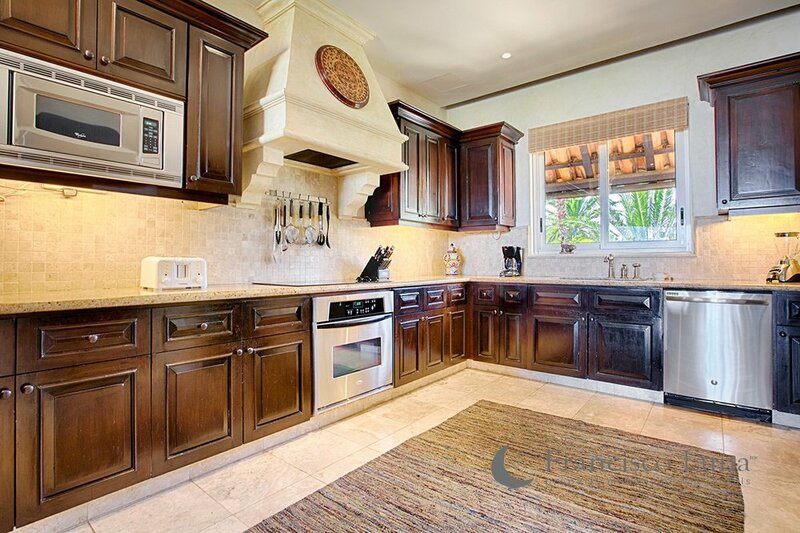 Fully equipped and completely self-sufficient, this unit is a family’s dream vacation spot. The 3 separate bedroom suites are expertly appointed with luxury hotel-style bedding, private bathrooms with luxuriant linens and complete privacy. 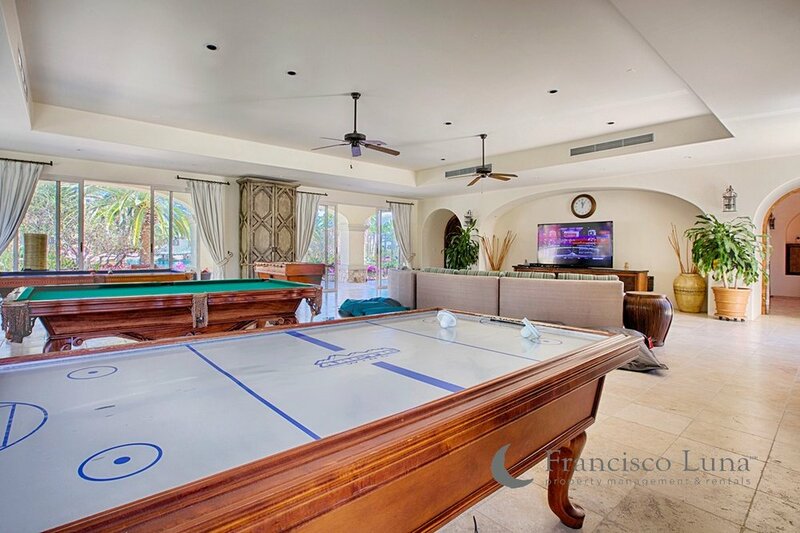 The indoor living space has a huge sectional sofa that fills the space and gives enough seating for a small army. 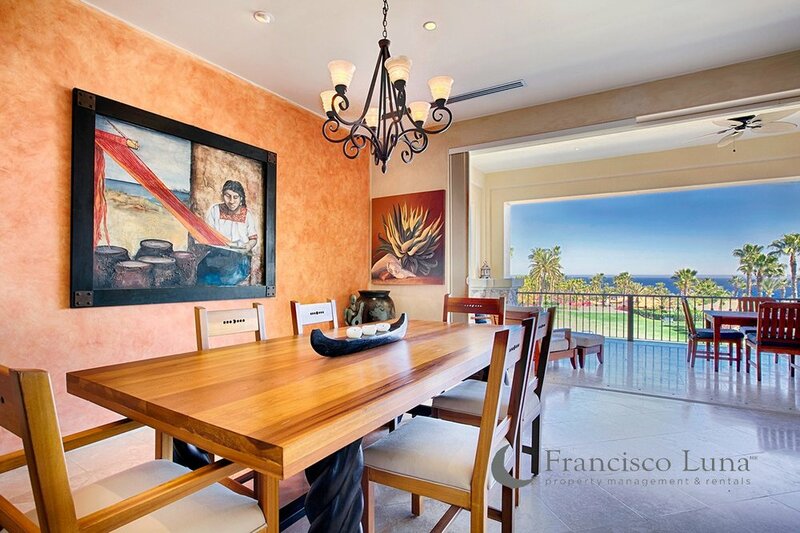 Indoor dining for 8 is afforded at the beautiful wooden dining table sourced from native Mexican hardwood in Guadalajara. And the kitchen is fully-equipped with stainless steel appliances. The patios of Casa ShipSea are very large and flow from end-to-end. Outdoor living is easy in the deep cushions of the patio chairs and lounges, and the outdoor dining accommodates 8 diners as well. The Summer kitchen allows for you to enjoy the full indoor-outdoor living of the Baja so that you never have to go inside if you do not wish! 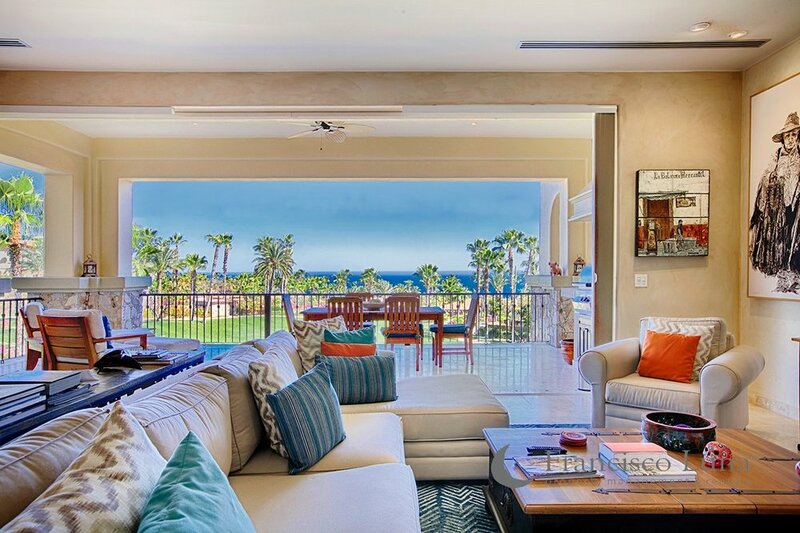 Life in this oceanview condo is plush. 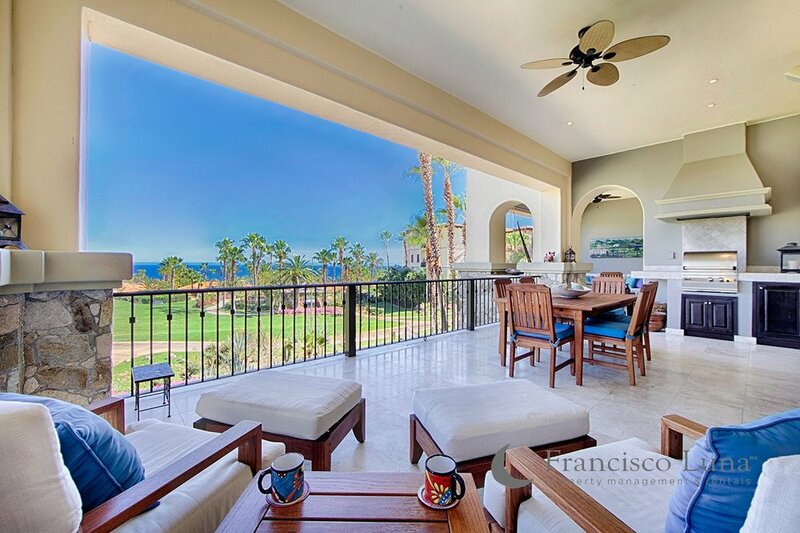 There are precious few places in Cabo where you can enjoy a beautiful ocean view, watch the whales passing by, while also enjoying the softening effect of a lush, grassy field. These unique characteristics are what set Casa ShipSea apart from any other rental in the Esperanza development.